ECHO Smart Grid Interns Turn It On! 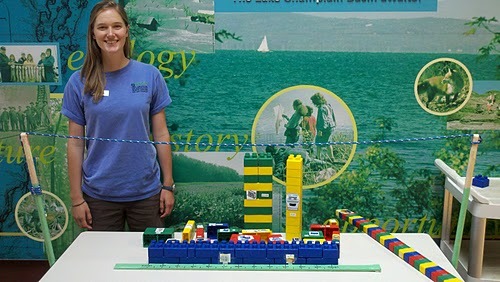 As the new Smart Grid Outreach Education interns, Kris Sellstrom and I have been working for the past five weeks to develop programs to build awareness about Smart Grid technology across Vermont. So what exactly is the smart grid? The smart grid is 21st century upgrade of the electrical grid. It utilizes digital communications technology to relay information between various parts of the grid. The smart grid communication network will enable better outage management and reduce the potential for large-scale blackouts. ‘Smart meters’ are part of the smart grid communication network and will replace your current electricity meters. These new meters can take power measurements and send them securely to you and your utility company. You can use the information collected by your smart meter to better manage and understand your electric use. Smart grid technology will also allow for better integration of solar, wind and other renewable resources into the electrical grid. Throughout the internship Kris and I have been working with the eEnergy Vermont Communications Working Group to get feedback and support on our programs. We have also had support from Vermont’s utilities & transmission, renewable energy companies, consulting agencies, educational outreach programs, government agencies, and technology companies. Thus far we have developed a display with informational panels about the smart grid as well as fun and interactive programs about peak power, the history of the electric grid, and smart buildings, which utilizes a building model developed for us by Control Technologies. We are still working on programs focused on environmental impact & renewable energy, consumer impact, and power consumption. Beginning July 26th, we will be running a daily smart grid program at 2:00 pm here at ECHO. Please stop by and discover more about the exciting world of Smart Grid Technology and ways you could put this information to good use for your own daily energy decisions. awareness about peak power and electricity consumption of household appliances.